Flashlight Freeze Dance: One person has the flashlight and moves it around the group while everyone else dances. When the flashlight goes off everyone freezes. When the flashlight comes back on everyone begins to dance again. Flashlight Limbo: Two people with flashlights make a limbo bar with the light. Everyone else takes a turn passing underneath without the bar touching them. After everyone has a turn, lower the bar. Continue until no one can make it under the light. Flashlight Scavenger Hunt: Participants must find items on a list. If outdoors, they can be item in nature such as acorns and seeds. If indoors, you might consider placing small items such a coins and rubber bands around the room. Have some fun with flashlights. Play two flashlight games. 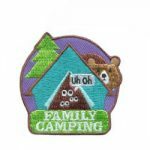 Choose one from the ideas above and make up one with your troop. Think of games you play such as tag or catch and adapt them for flashlights. Have some fun while you learn. Cut out the circles on the second page. Glue them to the outside bottom of paper cups. Use a wooden skewer to poke holes where indicated for constellation patterns. Place the cup over your flashlight and shine on the wall. Organize a flashlight party. 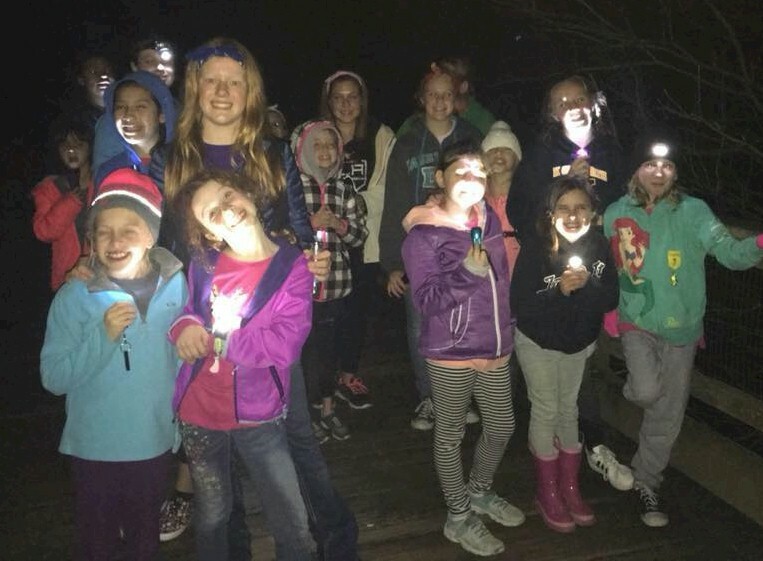 During an overnight event, host a flashlight party for younger girls. Use some of the ideas above or make up your own ideas. 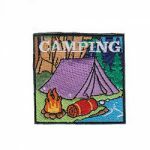 California Brownie* Troop 10977 and older girl helpers night hike while doing our outdoor JOURNEY*. 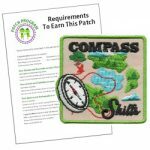 Girls earned a flashlight fun patch. 1 review for "Flashlight Patch"
This patch was perfect for the flashlight building project we did where the kids made them out of pvc pipe, a 9v battery, Christmas lights and other odds and ends!